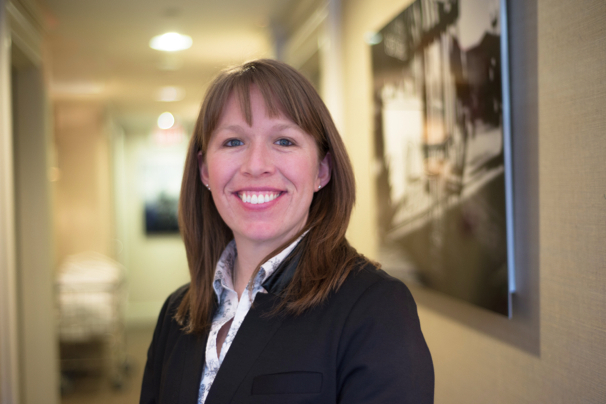 As a concierge at Hotel Veritas in Harvard Square, it's Laura Sprague's job to be an expert on the surrounding area. When guests come to her with questions about Boston and Cambridge, she's got plenty of answers. Find out about her favorite places to run, listen to live music, and indulge in hot chocolate. How long have you been working at the Hotel Veritas? Almost a year and a half. I'm originally from Upstate New York and made the move to Boston five and a half years ago. I'd spent a summer here and always knew I wanted to move to this area. I'd worked in several restaurants, and when this job opportunity came up, it was a very nice transition into the hotel and hospitality industry. 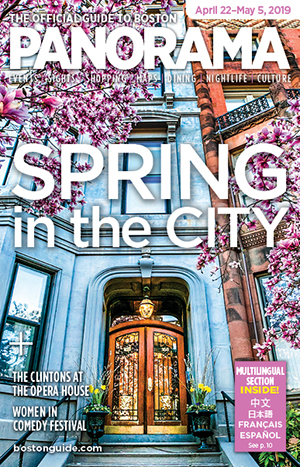 What do you think sets your hotel apart from others in the city? Hotel Veritas is located in Harvard Square in Cambridge and is a boutique hotel. We pride ourselves on our excellent customer service. Being a small 30-room hotel, the concierge wears many hats. We check people in and out, park and valet cars, take reservations, as well as make drinks in our lounge area. Our service is very personal and we look forward to seeing our repeat guests! Say a guest has only one day to explore. What's your advice? If a guest has just one day to explore, I would tell them to start in Cambridge in Harvard Yard. We're just a two-minute walk from the yard, and it is beautiful. Even if you're a Yale fan, you'll appreciate the history and beauty the campus has to offer. Grab lunch at either Grafton Street Pub and Grill or Tory Row. In the colder months, I would then suggest they grab a delicious hot chocolate at L.A. Burdick's. Then, go into Boston and walk from Park Street through Boston Common and the Public Gardens to Newbury and Boylston Streets for some great shopping. Ending in Copley Square on Boylston would let them see the John Hancock building as well as the Boston Public Library and the Boston Marathon finish line. If the weather isn't great, head to the ICA. It's a beautiful building right on the water and always has unique exhibits year-round. For dinner, head back to Harvard Square to dine at either the Garden at the Cellar for a farm-to-table restaurant with a Cambridge neighborhood atmosphere or the Beat Hotel where they have nightly live jazz music. Have you had any strange or memorable requests from guests over the years? The most memorable request recently has been, "Where do I park my 60-passenger coach bus?" We do offer valet parking for guests, but it is a smaller garage that can hold sedans and large SUVs. Unfortunately, the coach bus wouldn't even clear our garage doorway. Fortunately, we were able to help them find a spot to park in the end! When you're not working, what do you like to do in Boston? When I'm not at work, I love checking out new restaurants and the live music scene in and around Boston. I have always had a great time at The Sinclair in Harvard Square. It's a great spot to grab a bite to eat before heading next door to see a show. I've gone several times not knowing the bands and then ended up going home and buying some of their songs on iTunes! And lastly, what's your favorite thing about this city? One of my favorite things about the city of Boston is when I get to go for a run around the Charles River. Running in between the Longfellow and Mass Ave. bridges is a great running route where you'll get one of the best panoramic views of the city's beautiful skyline! Boston Symphony Orchestra Kicks Off with a Pop!